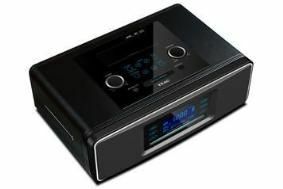 BRISTOL SHOW 2010: TEAC to show a quartet of new products | What Hi-Fi? It will be showing four new models: the SR-3DAB table-top CD player/DAB radio/iPod dock; the CR-H258i DAB/FM/CD micro receiver; the DR-H358i DVD/DAB receiver with iPod dock; and the CR-H500DNT CD/DAB/internet radio micro receiver with wi-fi. We've already reported on these here on whathifi.com, so you'll be able to see them for yourselves at Bristol on February 26th-28th. For full details on the Bristol Show 2010, see our special blog.